​​​Bring your postcard or pick one up at one of the studios. Have it signed off at all five studio stops to be eligible to enter a drawing for a $100 gift certificate to be used toward purchase of art or wine from any participating artist or winery. Limited to one card per person. Write you name and e-mail address on the card prior to turning it in. After the show one gift certificate will be awarded from a random drawing of all qualifying cards turned in. 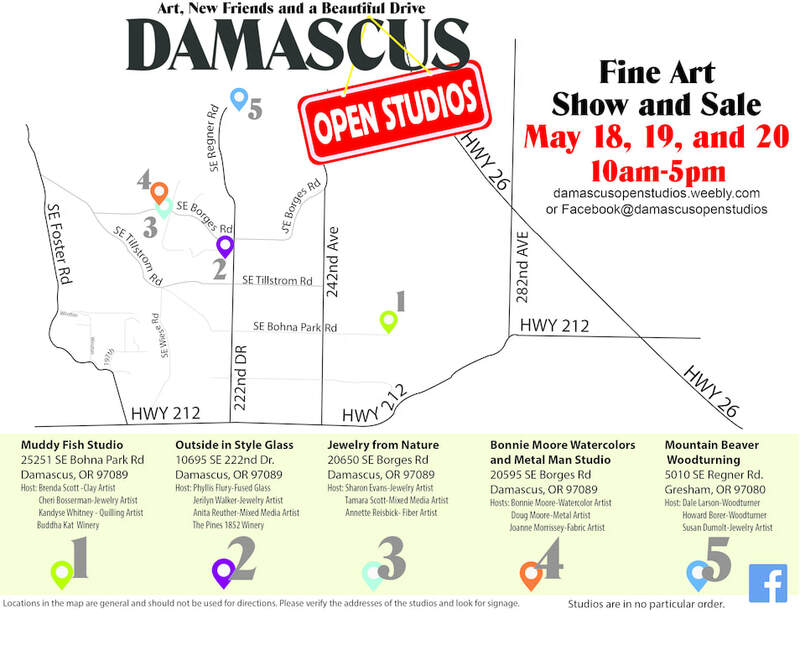 Entering the drawing authorizes Damascus Open Studios to publish the winners name and use contact information for notification of future shows. Contact information will not be given out or used for any other purpose.